PMC Specialties Group, a Division of PMC, Inc., operates a manufacturing facility in Fords, NJ, producing specialty chemicals. Although the plant is in strict compliance with all EPA and New Jersey DEPE air emission regulations, PMC decided to go a step further to improve air quality. To eliminate the possibility of trace odors from its existing scrubber units and chemical storage tank vents, the company installed a new thermal oxidizer unit to process the scrubber exhaust and tank vent emission. PMC retained EI Associates to manage both the design and the construction; a single source of responsibility. 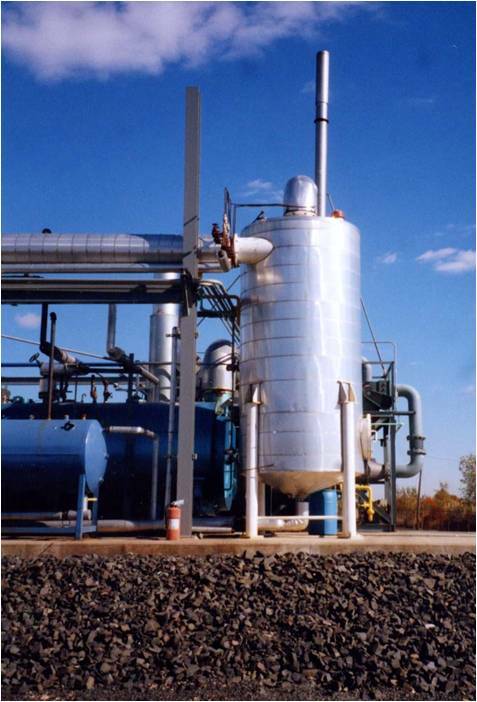 The plant utilizes six scrubber units and six storage tanks in various locations. The EI design team planned the routing for the collection system from the scrubbers and tanks to the oxidizer intake, utilizing CI pipe with welded joints increasing in size from 6 to 16 inch diameter as it collects additional flow. The utilities required for the oxidizer include electrical and natural gas, which were brought from existing services via a new conduit. 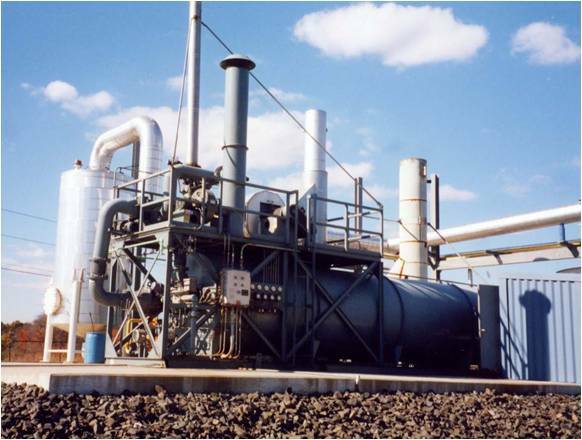 The oxidizer also includes a waste heat boiler to generate steam for the plant, thus serving an additional function that will help pay for the system. Instrumentation for the oxidizer is connected to a remote control panel in the plant operations department.